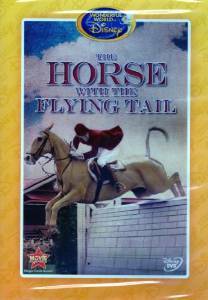 This is a documentary about a quarter horse who goes from being a ranch horse to being a show jumper on the US equestrian team. The horses name is Nautilus and he is born out west. After they try to break him, he gets nervous and jumps the fence. His rough and tough owners soon realize he has a talent for jumping, not western cow round ups. He is sold to a hunter barn and broke there. He goes fox hunting and enjoys it but he goes to fast for their taste. Then he is sold to several more barns before becoming the show jumper that he was destined to be. Not rated. Nautical is the name of the Horse With the Flying Tail (not Nautilus). The US Equestrian Team's indoor Arena (Gladstone NJ) is named after him. It looks amazing. I am definitely going to watch it!